This lovely condo is a treat. Beautiful cabinets, appliances, updated bathroom and furnishings really make your stay relaxing and comfortable. You even get a bird's eye view of the swimming pool and recreation deck below, as well as a glimpse of Diamond Head Crater and the Ocean. The condo is tiled throughout - clean and sanitary. Sleeping arrangements include a queen size bed and full bed in the bedroom and a sofa sleeper in the living room. Enjoy a fully-equipped kitchen which includes refrigerator, range, microwave, rice maker, coffee maker, and other kitchen wares! There is an extra access door to the bathroom from the kitchen for your convenience. Save money and enjoy the convenience of a full kitchen, FREE covered parking, TV with cable, FREE in room WiFi, FREE local and toll free phone calling, and an A/C unit in the living room. We have gone out of our way to make your stay in Waikiki spectacular so take advantage of all the extras we provide. Koko Resorts at The Waikiki Banyan is the perfect location for your honeymoon, anniversary, family vacation, or to just relax and enjoy paradise! Located only one block from world famous Waikiki Beach where one can surf, swim, enjoy Hula shows, night-life, and more. 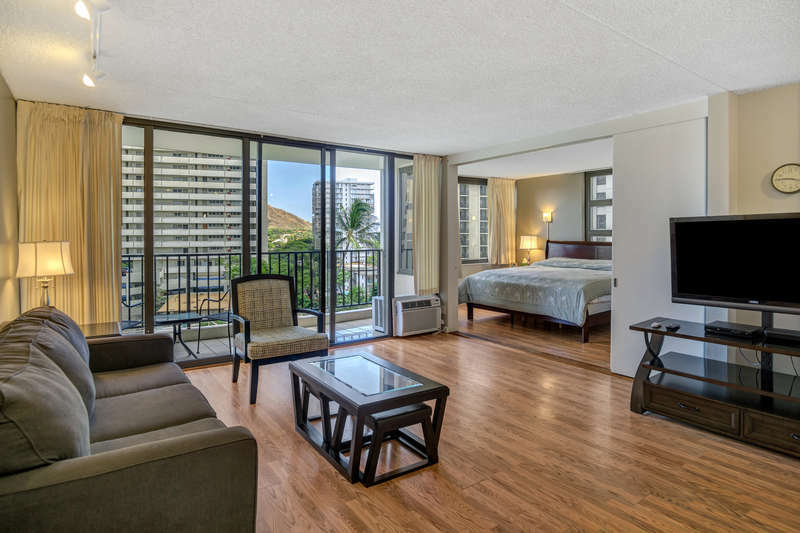 The Waikiki Banyan is conveniently located near a wide selection of world class restaurants, and specialty shops including the International Marketplace and Royal Hawaiian Shopping Center. The kids will love other tourist attractions such as the Waikiki Zoo and Aquarium which are located only a few blocks away. Public transportation is readily available, extremely reliable, and located right outside the building on Kuhio Ave! Complete with a tropical waterfall and koi pond, the upscale lobby will welcome you to one of Waikiki's most popular condo resorts. 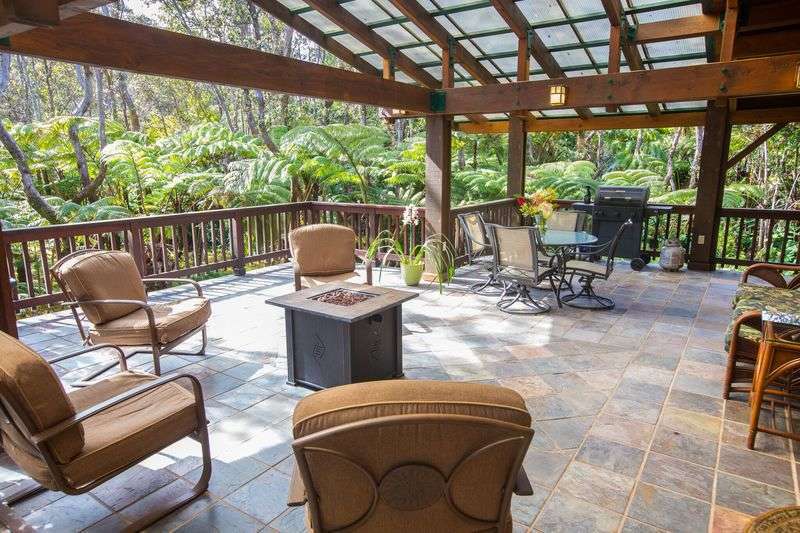 The recreation deck on the 6th floor is one of the largest in Waikiki and is equipped with a swimming pool, two hot tubs, kids play equipment, tennis court, basketball court, barbeque grills, picnic tables, sauna, lounge chairs, and mini snack bar. The Mini Mart is located on the 1st floor and is open daily. The Banyan Breeze coffee shop is located on the 1st floor. 24 hour security is there to help you rest easy. Koko Resorts saves you money with standard amenities including FREE parking for one vehicle, FREE WiFi internet, TV with cable, and FREE local and toll free phone calling. A/C unit in the living room. In addition, all suites managed by Koko Resorts include a full-size kitchen which will save you money and help you eat healthier by not eating out for every meal. Take advantage of all the extras we provide so you can get the most out of your vacation! Please note the actual bedding configuration prior to booking to ensure the proper bedding for your stay. Maximum occupancy or the number listed that a suite sleeps may not always be the same as the number of guests that a suite can sleep in a traditional bed. Portable (folding) cribs and high-quality inflatable mattresses are available for rent at $10 per night upon advanced request. For your convenience, Koko Resorts provides laundry detergent under the bathroom sink and coin operated laundry machines are available on every floor. Upon 24 hours or more advanced notice, in-unit towel exchanges are available at $15 per exchange and tidy clean maid service is available at $35 per service. In case of the unexpected, Koko Resorts offers 24 hour emergency guest assistance just a phone call away. 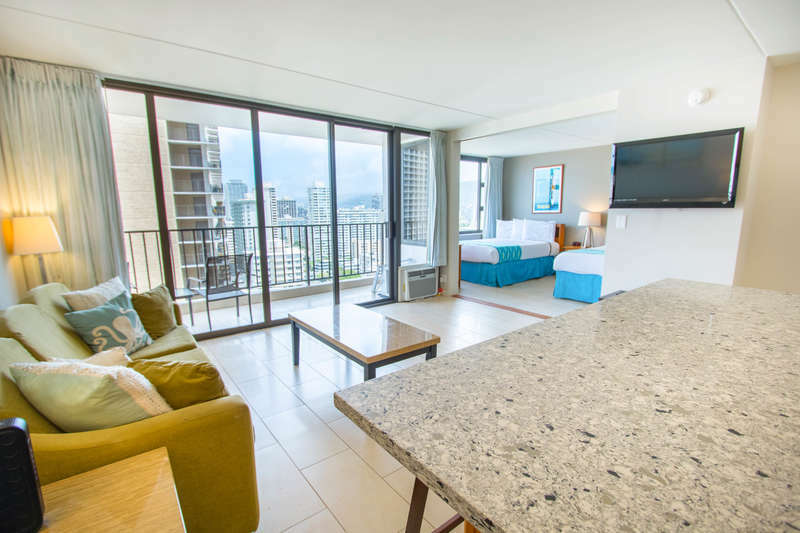 This property at the Waikiki Banyon is professionally managed by Koko Resorts so if this particular condo isn’t available please inquire about our other fantastic vacation rentals. Feel free to contact us if you have any questions. © 2017 Koko Resorts, Inc.